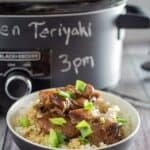 Slow Cooker Teriyaki Chicken is an incredibly easy dish to throw together in the morning for a hot dinner that night! Tender, juicy chicken thighs marinate in a savory gluten free teriyaki sauce in your slow cooker. Serve them alone, or with rice! Teriyaki is one of those dishes that you always order when you go out for hibachi, but have you ever tried making it at home? It’s surprisingly easy to do! And better yet, when you make it yourself, you can be sure that it’s 100% gluten free. 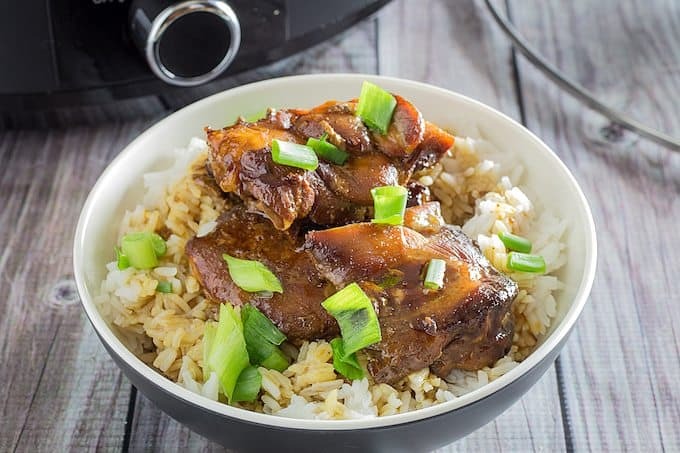 Slow Cooker Teriyaki Chicken takes the most tender part of the chicken and lets it slowly cook in the teriyaki sauce, until it’s completely taken up the flavor. And it’s hot and ready when you’re done with your day! 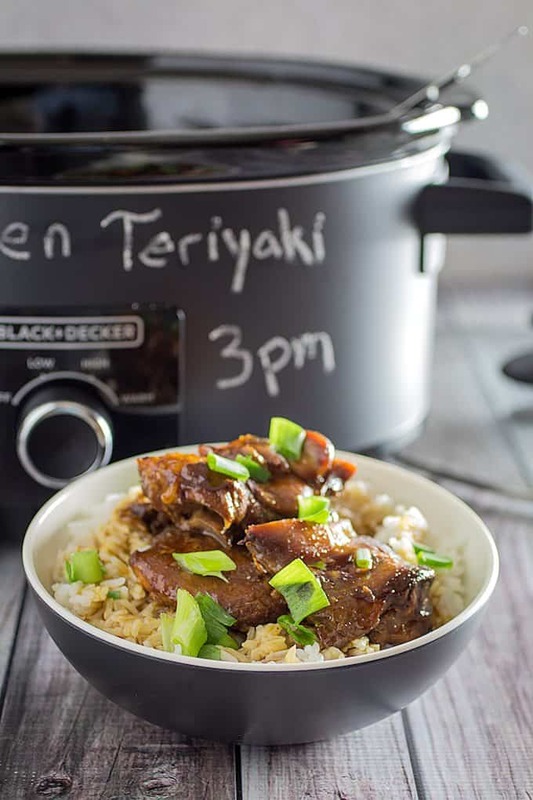 Slow Cooker Teriyaki Chicken happens to be one of my favorite dishes of all time. According to Andrew, it definitely stands up to any restaurant dish (which usually uses soy sauce with wheat in it… Taking it off the menu for me!). I used gluten free tamari for this dish, and I always try to get the low sodium when possible. That’s a personal preference, and I don’t think it really makes a difference in the flavor. Ok, does anyone else notice how incredibly irresistible this chicken looks? If I didn’t know any better, I’d call this a teriyaki glaze instead of slow cooker teriyaki chicken. But we know the truth here, people. 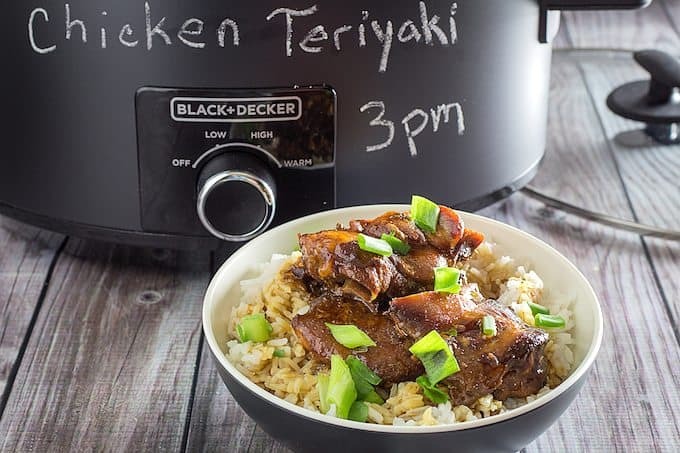 This slow cooker teriyaki chicken has the thick and sticky teriyaki sauce we all know and love. 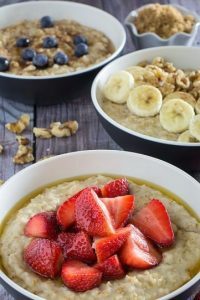 And it’s as easy to make as turning on your slow cooker. Does it really get any better than that? 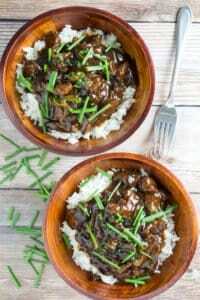 I served this slow cooker teriyaki chicken over a bowl of jasmine rice, and topped with some fresh green onions. 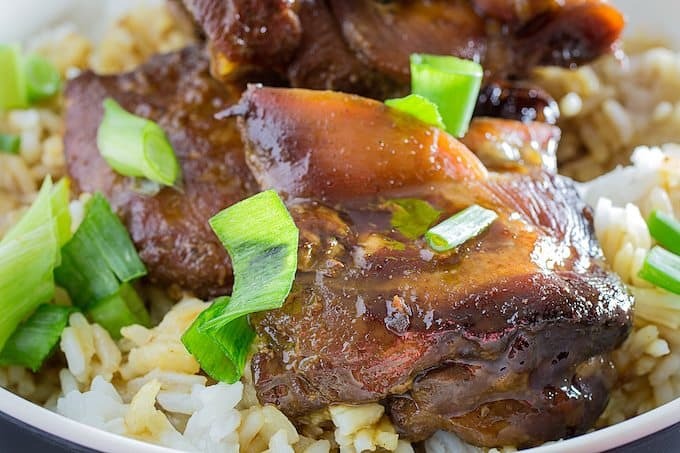 The rice does a fantastic job of soaking up the teriyaki sauce, while the green onions add a really nice fresh green flavor. 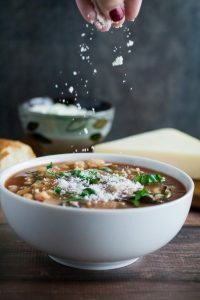 They just compliment the salty-savory-sweetness of the sauce. It’s the perfect combination of plain (rice), out-of-this-world flavor explosion (teriyaki sauce), and fresh crunchy greens (green onions). Which is why I personally believe that this is the perfect way to serve this up. But you know, do it however you like it! 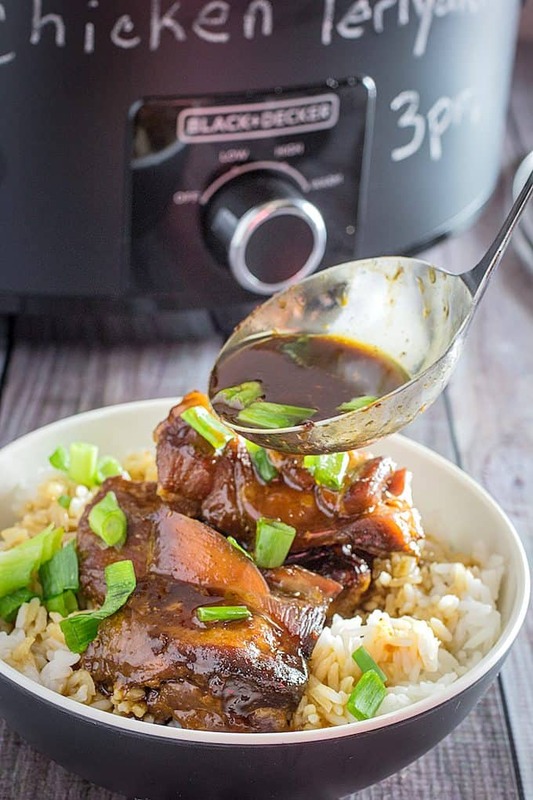 A few more slow cooker chicken dishes you’re going to love like slow cooker teriyaki chicken! Slow Cooker Sweet & Sour Chicken – Here’s one of my favorite Chinese restaurant dishes, but in the comfort of my own home. Perfect! 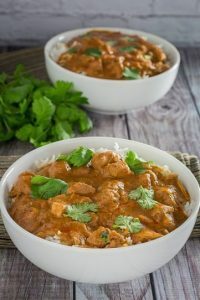 Easy Slow Cooker Butter Chicken – This is one of Andrew’s favorite slow cooker dishes! It’s easy to make, and smothered in a ridiculously flavorful yogurt sauce. 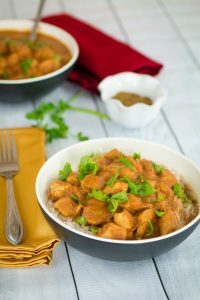 Slow Cooker Chicken Tikka Masala – It’s kind of like butter chicken, but full of the fantastic flavors in garam masala. Get ready to be amazed! 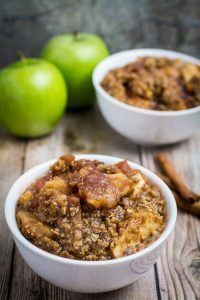 Now that you’re a slow cooking machine, it’s time to get to work! 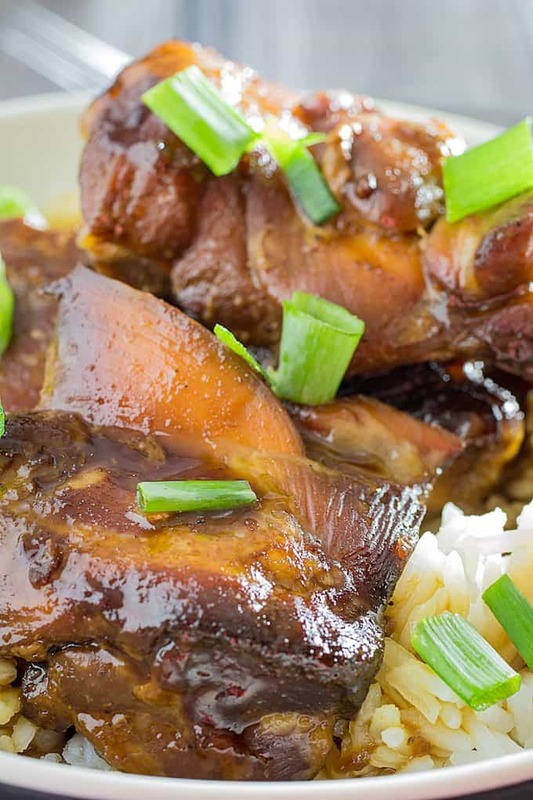 Slow cooker teriyaki chicken awaits! In a medium bowl whisk together tamari, brown sugar, corn starch, garlic, ginger, and pepper. 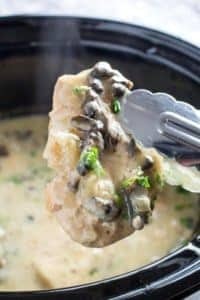 Add chicken thighs to slow cooker and pour sauce over chicken. Cover slow cooker and set on HIGH for 4 hours, or LOW for 8 hours (or until chicken is cooked through). I served this over jasmine rice. Teriyaki chicken is one of those dishes that I will never get sick of, I love the flavors! 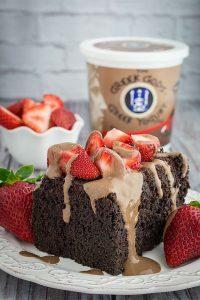 This version looks irresistibly delish!